Last week shareholders of Indonesia-based coal mining company Indo Tambangraya Megah decided to distribute USD $252 million in dividends to the company's shareholders, implying a nearly 100 percent dividend payout ratio of its full-year 2017 net income. The dividend payout is divided into USD $105 million worth of interim dividend (IDR 1,300 per share) and USD $147 million worth of final dividend (IDR 1,840 per share). Interim dividend was distributed on 21 November 2017, while the final dividend will be paid on 20 April 2018. 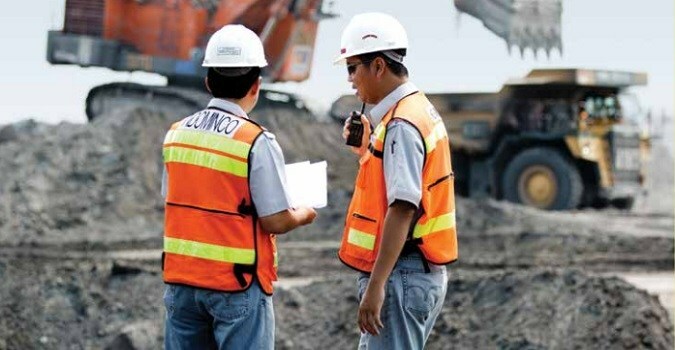 Yulius Kurniawan Gozali, Director of Indo Tambangraya Megah, said the remaining USD $703,000 of FY-2017 net income that is not paid out in dividend to shareholders will be used for the development of the coal mining firm. Over the past couple of years the company has a dividend payout ratio of nearly 100 percent. In combination with the company's rapidly rising net profit over the past two years as well as the rapidly rising share price, it makes Indo Tambangraya Megah an attractive investment choice for investors. Meanwhile, Gozali is optimistic that the company's earnings will improve in 2018 on the back of rising production and sales as well as a stable coal price. This year Indo Tambangraya Megah targets to produce 25 million tons, up from production realization of 23.1 million tons in 2017. The capital expenditure budget of Indo Tambangraya Megah for 2018 is set at USD $107.1 million, with the funds originating from the company's internal cash reserves. Most of this budget will go to the company's subsidiaries, especially for the purchase of equipment as well as infrastructure development. Meanwhile, Indo Tambangraya Megah is also considering to add to its coal reserves by acquiring a new mine in 2018 (with a capacity of 5 million tons). Last year Indo Tambangraya Megah's coal reserves stood at 253 million tons. Besides boosting production and production capacity, Indo Tambangraya Megah is also eager to cut production costs. Last year the company acquired GasEmas, an Indonesia-based fuel procurement and distribution company. This move enables Indo Tambangraya Megah to save on fuel costs. Furthermore, Indo Tambangraya Megah plans to develop a hydro power plant as well as a solar power plant. This will require an investment somewhere between USD $5 - $10 million. Construction could start in the middle of 2018. Regarding the new domestic market obligation coal price, Gozali does not expect to see a big impact on his company because the majority of coal will be sold at "normal" prices. Recently the Indonesian government introduced a fixed low price for coal that is sold domestically (to power plants) under the so-called domestic market obligation. In 2017 Indo Tambangraya Megah sold 2.5 million tons of coal on the domestic market (a relatively small portion compared to the company's total sales of 23.1 million tons in the same year). Panin Sekuritas advises investors to invest in Indo Tambangraya Megah shares as it set its share price target for the company at IDR 37,000 a piece. According to Panin Sekuritas there are three factors that make the company's shares attractive: (1) the rising coal price, (2) the major link between the coal price and the company's corporate earnings, and (3) consistent (and high) dividend payout ratios. On Monday (26/03) shares of Indo Tambangraya Megah, listed on the Indonesia Stock Exchange, rose 0.52 percent to IDR 29,050 a piece. So far in 2018, the company's shares have surged 40.34 percent. Meanwhile, over the past two years shares of Indo Tambangraya Megah soared 345.21 percent amid the improving coal mining business (reflected by the stronger coal price).